Learn Japanese in Japan, that will be useful throughout your whole life! (You can even travel across Japan, experiencing the different aspects each location brings!). Tokyo, the exciting city: Short walk from Shinjuku station. Kyoto, with the traditional culture: Few mininutes from the wonderful Gion district. Fukuoka, sunny Southern Japan: Walking distance from Hakata train station. Maximum 9 people in a class, meaning more attention and closer connections with the teacher and peers. Most other schools have up to 20 people in a class. Unlike a traditional school, learn at an at-home like environment with free coffee and tea. Optional events for students; between 7 & 10 events a week! No prior knowledge of Japanese, or prior education is required. Start from your current level if you know Japanese already (level check test on the first day). You only need to know Hiragana (the Japanese alphabet) before you start the course in Japan; we will provide free resources to help you learn this after you apply, if needed. (Want to study in Tokyo from age 16? Click for the conversation course). Note there is a wide range in ages, with the average person in their 20s. You are sure to meet many like-minded people! Library, TV Room, Elevators, Wheelchair access, Eating Area, Free Wi-Fi, Computers, After-Class Seminars, Study Area, Free coffee and tea. You can experience three distinct cultural areas of Japan without needing to switch schools, meaning you can follow the same curriculum and only need to pay one registration and textbook/materials fee. The core course offers two 50-minute grammar classes and two 50-minute “application” classes each day. In general, you will study new grammar each afternoon, do related homework that night, then practice your new skills in the application class the next morning. All lessons are structured to give you essential Japanese in a way so that you will remember it, and be able to use it yourself. Lessons are focused on the skills and topics most useful to actually getting out there and becoming proficient in the language. The school is wheelchair accessible. Optional activities involve real-world situations, guest instructors, field trips and more. 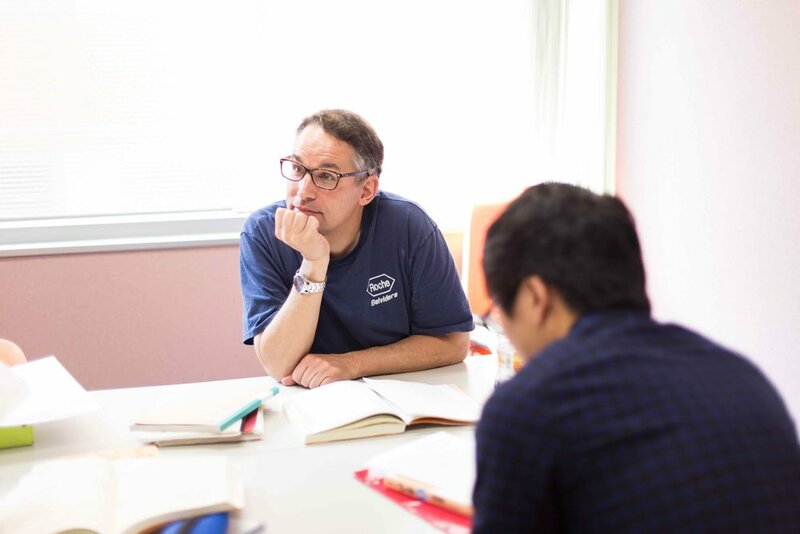 All the Japanese teachers are graduates of a 420-hour Japanese teacher training course at a recognized study institution, and have extensive experience teaching to foreigners. A curriculum designed with the needs of English-speakers in mind. We believe lessons must be interesting! You can't learn if you're not engaged. Materials and methods are designed to draw you in to the class, and to make any topic exciting. The method has been honed over several years to allow for the maximum retention of learned material, using techniques of rapid response, and real-world use of previously learned materials. AM: From 9:30-13:10. Skills application class; two 50-minute classes. PM: From 11:25-15:50, or 14:05-17:45. Japanese grammar; two 50-minute classes. Monday-Friday (5 days a week, 4 lessons with breaks in between per day). 20 class hours per week, which is highly effective than other methods. Tokyo: Japanese sweets making, Making wind chimes, Making traditional Japanese paper, Woodblock engraving for stamps and more. Fukuoka: Japanese gardens, Ikebana, Hakata museum, Hakata Doll Painting, Katana Sword, Zen meditation, Origami Lesson, Kimono class, Cooking Class, Japanese Drums and more. 1 module includes 3 cultural activities held on Saturdays. Tokyo: TOYOTA theme park, Nakano Broadway, Animation Museum, Japanese Sword Play Lesson, Owl Cafe, Harajuku Stroll, Digital Illustration Lesson, Game Cafe, and more. Fukuoka: Otaku Map Tour, Canal City, Fukuoka Tower & Robot Square, Character Bento Work shop, Fukuoka Asian Art Museum, Pottery and more. +10,000 JPY/week. Not available for low beginner levels. Add 5 lessons of extra conversation classes per week. In a relaxed atmosphere, learn even more interesting aspects of communication, e.g. special dialects, chopsticks etiquette, slang and more. You will be placed in a class that suits your level, after a level check test. Complete beginners must start on the first Monday of every month, or third Mondays in June, July and August. Choose the number of weeks you wish to study! Minimum 1 week. [Registration (10,750)] + [Textbook/Materials (10,750)] + [Tuition/week (32,500) x (4 weeks)] + [Pop culture/week (10,000) x (1 week)] = 161,500 JPY. ^For the 6 month discount, starting dates for the course are in first Monday of January, April, July or October each year. These are the full prices including registration* to school and materials. *Please note that the school charges this whether you use our website or not. Don’t mind more people in a class and on a budget? See the Conversation Course in Tokyo. 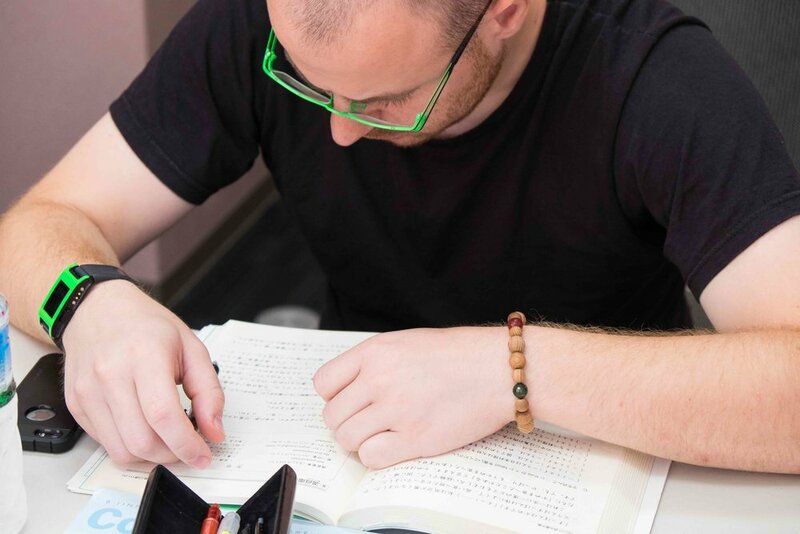 Want to study this Practical Japanese Course? (You can see and choose accommodation options from the school on the online form below. We can also help find alternatives). Choose course -> Apply -> Choose accommodation -> Receive confirmation and pay school -> Prepare for Japan (we can assist), receive instructions -> Arrive in Japan! Begin your application today before spaces become full.